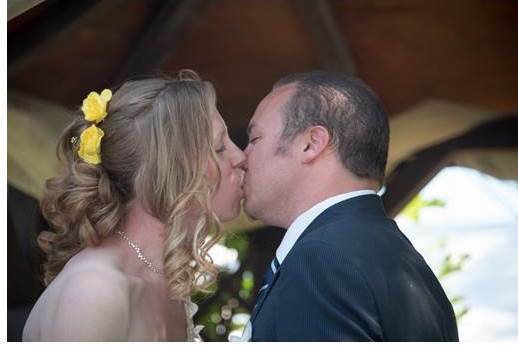 The 6th of June 2015, the day we’ve been waiting for so long, was finally here; Our Wedding Day! We enjoyed that day so much, we’ll try to make you enjoy our story of that day as much as we did. So, even when you are down at some point, you’ll have to keep fighting for everything you love and all your dreams will come true, just like ours did. Let us introduce ourselves first. 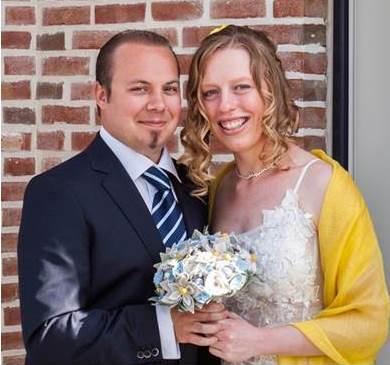 Our names are Annemieke and Marc (both 31 years old) and we both live with a metabolic disease. Annemieke has Diabetes type 1 from when she was 9 months old, over 30 years right now. It is one of the hardest forms of diabetes. She uses an insulin pump because otherwise she doesn’t get her diabetes stable. Marc has MMA type B, non-vitamin B12 responsive. He was born with it and doctors first diagnosed him when he got in a coma at the age of 2. With a lot of pills and a strict diet we keep the disease under control. A crazy combination, you’ll think! That’s what most of our relatives and friends thought. They were afraid that we were going for a very difficult future together. Because we have to be careful of what we eat which is different for each of us. After a relationship of 10 years we can show them that we are the ideal combination and that we are happy. That doesn’t mean we don’t have hard times either. But it is easier for us to understand how it feels to have a disease, how it is to take medicines, how it is to live with a diet … An especially the diet is easier when you have to diet together than alone. That makes our lives maybe a little more complicated that a normal couple’s life, but we try to be as normal as we can be. And yes you did read it correct, we are 10 years together and Annemieke had to wait that long for a proposal. It was 04/04/2014, the day of the proposal Annemieke got out of bed and she found a little poem from Marc. She is kind of spoiled on that area so it wasn’t that abnormal. We ate breakfast together and we went to our jobs together. Marc first put Annemieke off at her job and then drove to his job. We don’t work far from each other. It didn’t take long before Annemieke got a strange call from reception, that there was a package for her and that she should come fast and pick it up. When she came at the reception desk Annemieke got a bouquet of 40 red roses. She was totally impressed. Annemieke saw the flowers came from Marc and texted him to thank him, but she didn’t realized what was coming next. At the end of the workday, Marc normally picks up Annemieke right on time, but now he was late. She was waiting on the sidewalk, when an American Classic Car came rolling towards her and stopped in front of her. Marc stepped out of the car, gave her one pink rose and said we were going to see a movie. Annemieke still had no idea. Annemieke chose a movie in the movie theater and afterwards Timer picked us up again. But before he left, she had to open the trunk of the car. Annemieke found her own most beautiful clothes in that trunk, together with her shoes. She had to change. With our finest clothes on, we drove to one of the best restaurants in Belgium, who prepared food that was adjusted to our diets. We enjoyed a fabulous meal and while we were dining Annemieke for the first time thought that Marc might propose. But when we drove away with our one car from the restaurant to our home, she thought that it would never happen. When we came home, Annemieke went to the bedroom, which was full of candle lights and roseleaves. Marc told Annemieke to sit down and wait; he called “Belly”, our Old English Bulldog, who came running up the stairs with a little package for Annemieke. Marc took the package opened it and asked if Annemieke would marry him. She said YES. After that the big wedding preparations started. Finding the right transportation, location, music and wedding clothes. We were busy with that every day until the wedding date 6th of June 2016. ​We had to keep thinking about our diseases and diets when we were planning everything. Because we wanted to eat what we liked and were allowed to eat that day. Finally the 6th of June the day had come…The day began very nice with a nice open sky, with a lovely sun in it and 25°; (77°F) you can’t have better weather than that in Belgium. We slept separately the night before the wedding. 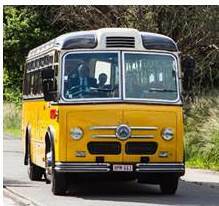 So when Marc arrived with the family in a big shiny yellow bus, Annemieke and Marc couldn’t be happier. It was really going to happened that day. Marc rang at the door and Annemieke opened it. Marc gave her the bridal bouquet and she loved it. Than the entire family came in and lifted the glass to the lovely couple. The entire family was in dress code, dark blue for the men, yellow for the ladies. After raising the glass, we had breakfast all together and finally everybody got on the bus to city hall. At city hall there were already lots of our friends, who wouldn’t miss this for the world. After signing the legal documents we were married and connected to each other for ever. Afterwards we took some family pictures, because family is something important for us. After the pictures were taken, we all got in the yellow bus again and went back to our home, where everybody enjoyed a nice lunch, adapted to our diet needs. We did this in our house so we could take our medication and take the rest of it in a bag for the evening party. After lunch, the family stayed to rest in our home and the happy couple went to a wedding photo shoot in open air in beautiful weather. When the photoshoot was ended we went to the garden of our wedding location, where we had a special wedding ceremony prepared where we had to say our vows and some friends said a few words. In a garden, beautiful weather, our closest friends and family (more than 200 people) and our ring carrier, Belly, our dog. It all made this the most beautiful day of our lives. Many people shed a little tear during the ceremony; also for us it was very emotional. When the person who you love says he loves you in front of your 200 closest friends and relatives, it is something will never forget. Time for the garden reception now! Also here there were adjusted snacks for MMA and diabetes. After the garden reception, people came inside for dinner. We chose a buffet, because everybody, including us, could take what they want and what they didn’t want. There was also adjusted MMA and diabetes food. Everybody complimented us afterwards about the food. At last, the opening dance, a very romantic moment for us, followed by a dance party that lasted until the early morning. A day to never forget, to always remember! Right now, we still think of that day sometimes, what a beautiful day it was. And now we are ready for the next step in our lives, we are expecting our first child thissummer and we are looking forward to it! Before we met each other, we never thought this would be possible. Because Annemieke needed diabetic values good enough to have healthy children, after a lot of effort, both us and doctors, it finally happened. Under strict supervision of doctors the pregnancy seems to be very good and without any problems. The idea of having our own child just makes us feel super happy. 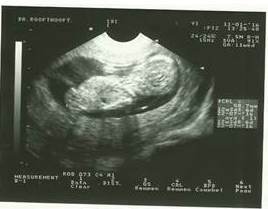 This child will probably be healthier than the both of us. Every day we are together is a party for us. We had to work real hard and fight for it (on medical domain), but no fight wasn’t word fighting for if you see what we have right now. Fighting together makes you stronger than fighting alone! That is why, dear people that we hope you had a positive vibe from reading our story. Don’t give up your dreams! We didn’t and we are still enjoying our lives and the world!